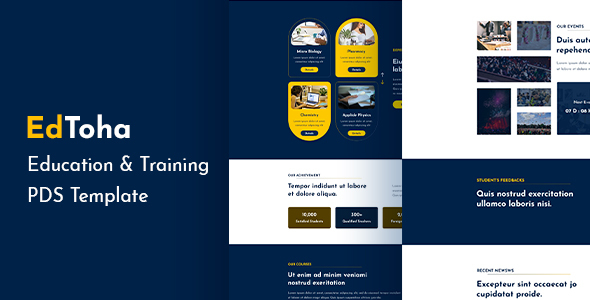 EdToha - Education & Training PSD Template. 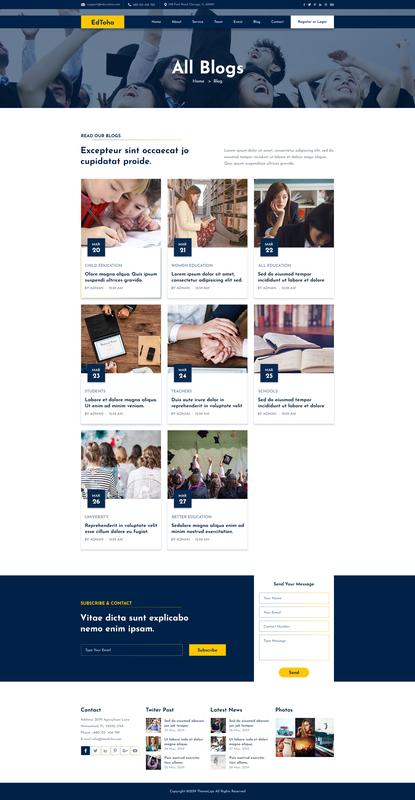 EdToha – is a beautiful Education & Training PDS Template which is made for the educational web, LMS, Training Center, Courses, College, Academy, University, School, Kindergarten etc. We went into deeper research about what people want in a Template and with great care and enthusiasm, we have put everything in those Templates. All of our designers are based on 1170px Bootstrap based perfect designs. We have also used the tow most popular Google fonts including Poppins and Nunito Sans.